In 2013, there was an awesome event in New York organized by Kristina Kincaid, Lesley Freeman, and Michael Ellsberg. The event took place and was hosted in the beautiful Manhattan downtown apartment of Jose and Carmen Arozamena. The evening began with a private interview of John and Marc for an article on Forbes, talking about the important interface between their two books, Conscious Capitalism by John Mackey and Your Unique Self by Dr. Marc Gafni. In the interview, specific focus was given to an idea that John and Marc have developed together: the Unique Self of a corporation. The second part of the evening was a public conversation between Marc and John, masterfully facilitated by Michael Ellsberg and followed by an invitation-only dialogue with twenty-five convened millennial leaders. 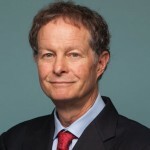 John Mackey is the Board Co-Chair of the Center for Integral Wisdom and Chairman and CEO of Whole Foods Market. And he is a fearless leader in the great calling for the Evolution of Consciousness and Culture. The dialogue was filmed, and we hope you will enjoy it here.